"Sitting all day at work is really bad for us," says Lucas Carr, an professor in health and human physiology. 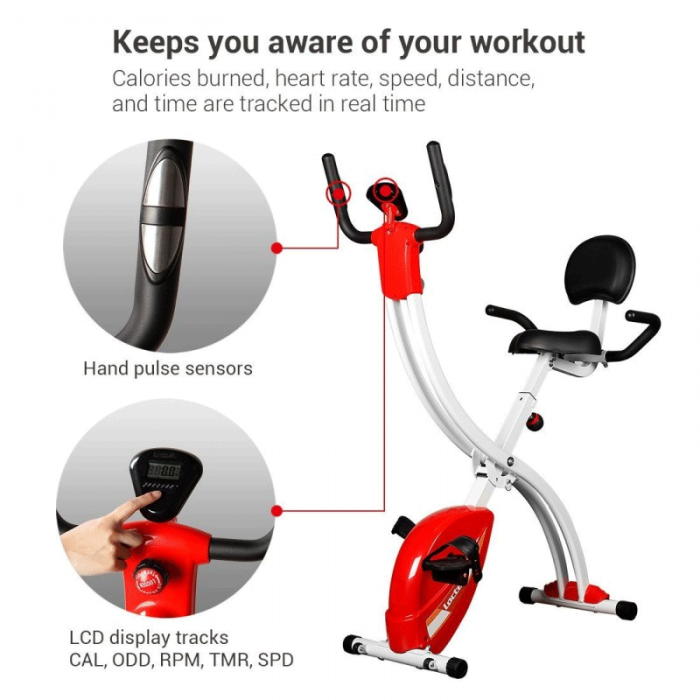 Excessive sedentary time to be a risk factor for many physical and psychosocial health outcomes including mortality, obesity, cardio metabolic-disease risk, cancer, stress, depressive symptoms, and poorer cognitive function. 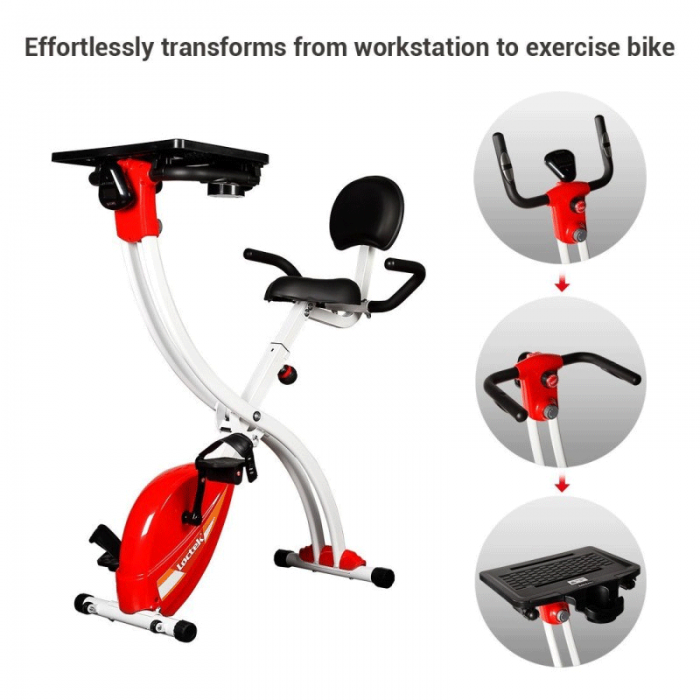 The Loctek Desk Bike Exerciser helps you gain a lot of benefits of lower-level physical activity while you are working. 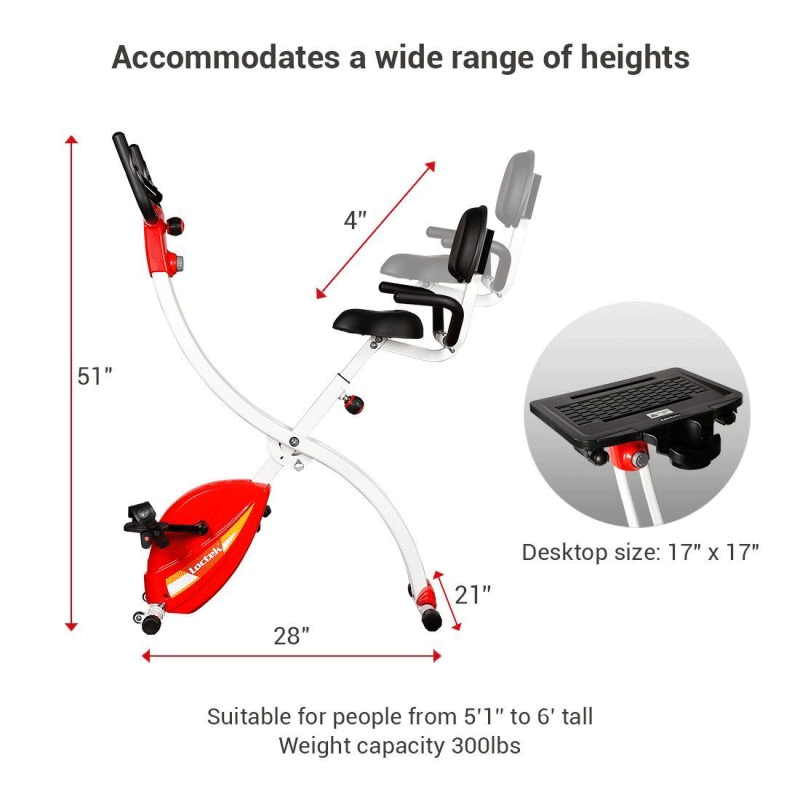 You no longer have an office chair. 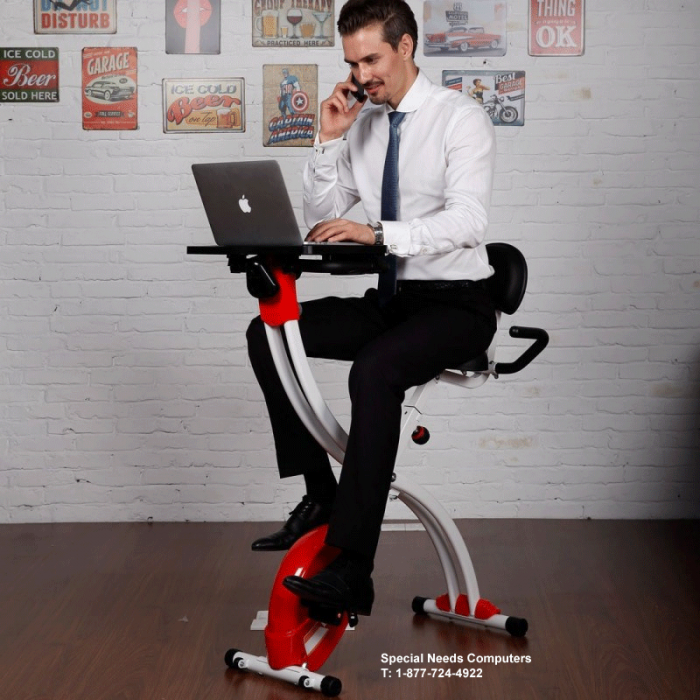 You either stand and work, or move in the standing desk bike and sit on the seat provided. 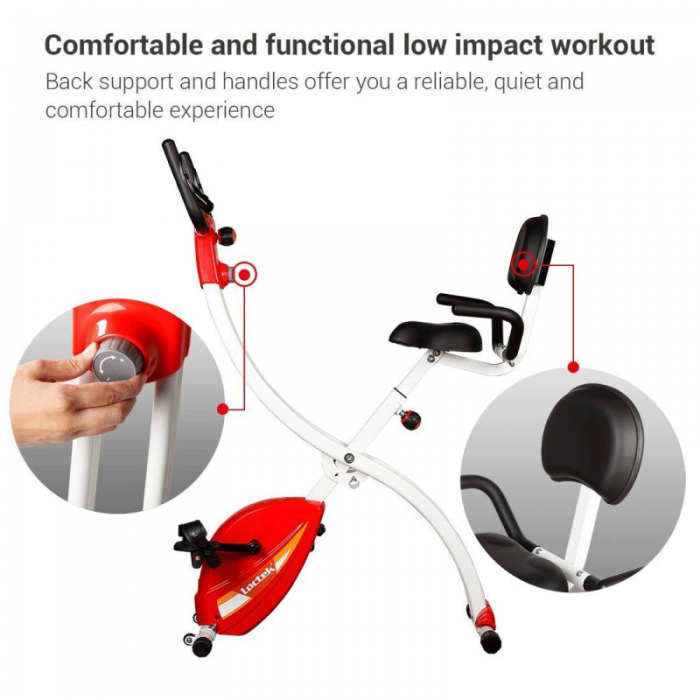 Simply sit on the bike, engaging your hips. 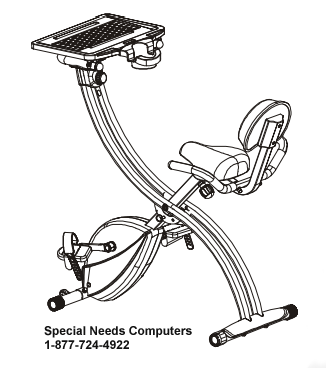 2-position with adjustable seat accommodates wide range of heights. 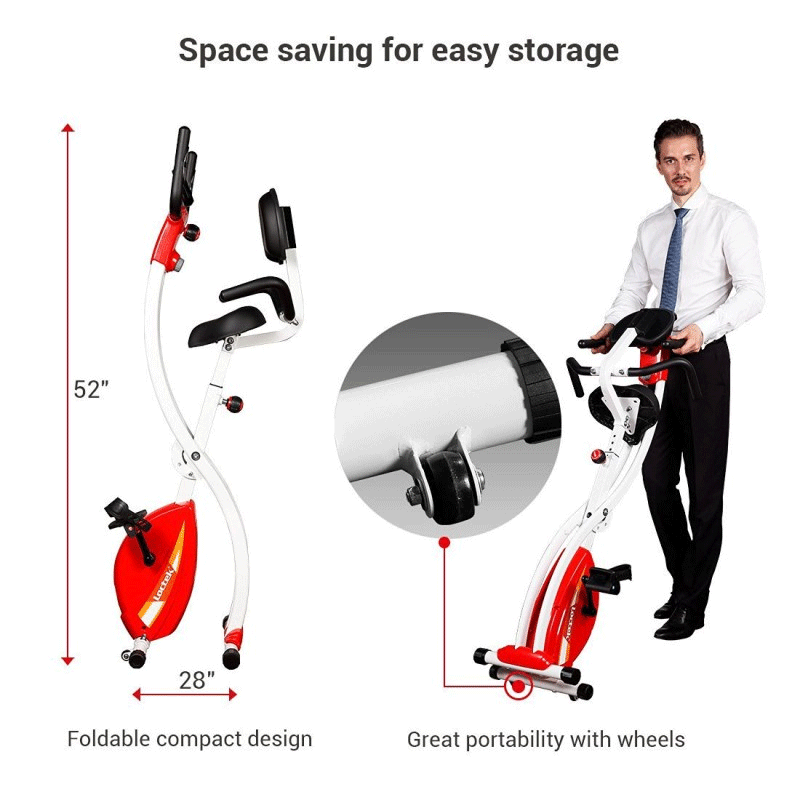 Max weight capacity is 300 lbs. Assembly required . Cushion adjustment: 30" - 34"
Special Order: This is not a stock item and is ordered specifically for you. Unfortunately, no returns, no cancellation, so please call our trained staff with any questions you may have prior to ordering to ensure you make a well informed, educated purchase. This sale is final.